That’s because many routers, especially those that ISPs provisioned to their customers, are configured to listen for connection requests on port 7547 as part of a remote management protocol called TR-069 or CWMP (Customer Premises Equipment WAN Management Protocol). 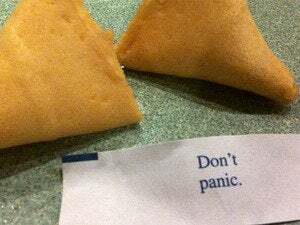 The initial TR-069 request on port 7547 is processed by the device’s embedded Web server—which in many cases is RomPager—and can be used to exploit the Misfortune Cookie flaw regardless of whether the Web-based administration Interface is configured to be accessible from the Internet or not, Tal explained. The Check Point researchers have identified around 200 router models from various manufacturers, including D-Link, Edimax, Huawei, TP-Link, ZTE, and ZyXEL, that are likely vulnerable. Based on Internet scans, they’ve detected almost 12 million unique devices in 189 countries that are directly exploitable over the Internet. Check Point contacted several major router manufacturers whose products were affected, as well as Allegro. Some responded immediately, confirmed the problem and started working on firmware patches, but others didn’t respond at all, the researchers said. Unfortunately there’s not much users can do to protect their routers aside from installing firmware patches when they become available and running firewalls on their computers to protect them against network attacks, Tal said.